Local hospital staff will this week undergo a helicopter escape simulation in a bid to raise vital funds for the Yorkshire Air Ambulance. From Emergency Care Nurses through to the Chief Finance Officer, the charity event will see over 30 members of staff from Hull University Teaching Hospitals NHS Trust take on the underwater simulator, affectionately known as the “Dunker”. The simulation which will see four members of staff at a time fastened into their seat and submerged into a pool is all in an effort to raise funds for the Yorkshire Air Ambulance charity. Serving the whole of Yorkshire and sometimes further afield, 365 days a year , the highly trained team of specialist doctors and paramedics from Yorkshire Air Ambulance regularly carry out pre‐hospital emergency medicine on board their helicopter. Leading the event is Chris Srinivasan, Emergency Care Consultant at Hull University Teaching Hospitals NHS Trust and also one of the Doctors who form the Critical Care Team that fly with the Yorkshire Air Ambulance. Their crew have to undertake the “Dunker” test as part of their training and after completing the training himself, Chris took inspiration to turn it into a fundraiser. 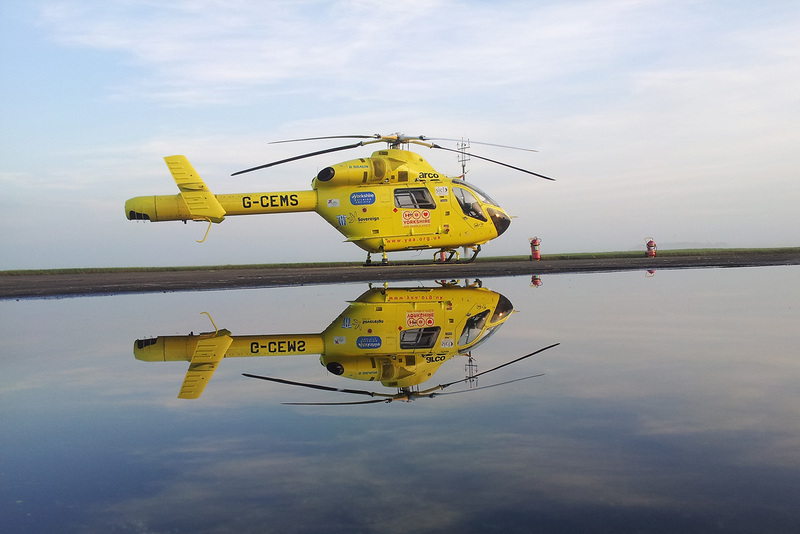 “Working in the Emergency Department at Hull Royal Infirmary sees us come in to contact with the crews on board of the Air Ambulance on an almost weekly basis. Having seen some of the fantastic pre‐hospital care provided to those patients simply inspired us to go above and beyond and give something back to them. I am also privileged to fly with the crews of the Yorkshire Air Ambulance so I have seen first‐hand the vital work they do. The Yorkshire Air Ambulance relies on the generosity of individuals and organisations to help save lives across Yorkshire. It serves five million people and has carried over 7,000 people in its 16‐year history.